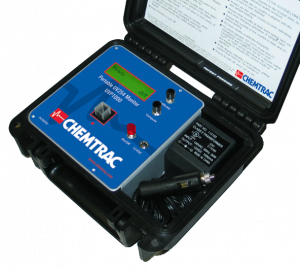 Laboratory UV 254 | Chemtrac, Inc. The UVP1000 portable UV254 monitor can quickly and accurately test UV 254nm in the field within minutes. 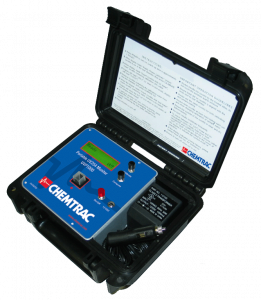 The meter can provide test results in both UV transmittance (UVT) and UV absorbance (UVA). The UVP1000 has been designed to cope with the harsh conditions encountered in the field. However, the extreme accuracy of the UVP1000 makes it a valuable addition to any water analysis laboratory. Calibration is as simple as the push of a button, and our patent-pending technology maintains calibration over multiple samples. Response Time Warm-up time ~ 1 min.